We are pleased to offer these RFID-blocking accessories generously donated to EFF by DIFRwear! Many credit cards include an RFID (radio frequency identification) chip that can leave your personal information vulnerable. These supple leather wallets contain a layer of metal designed to block skimming attacks when you're on the go. 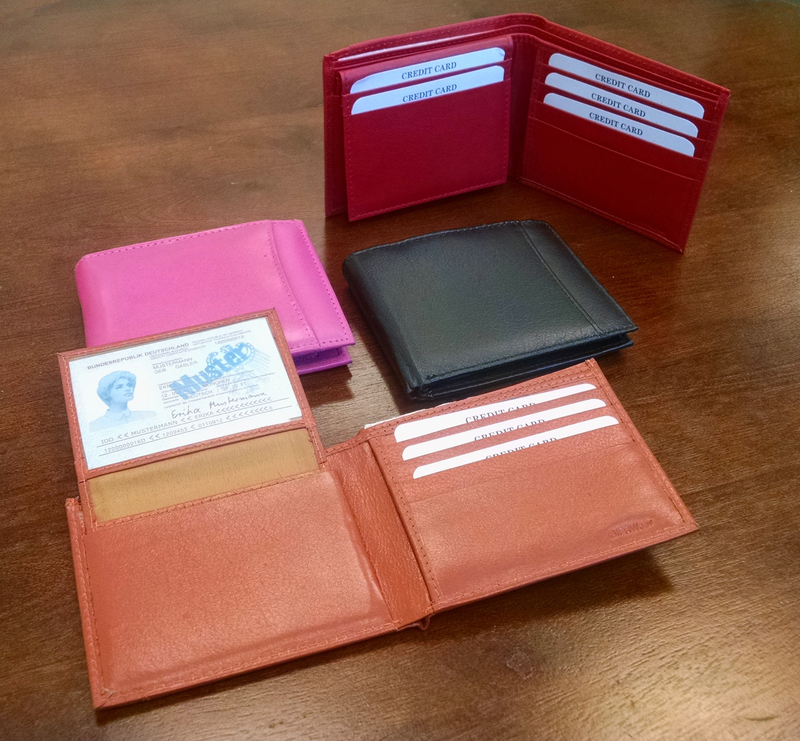 Each wallet measures 4.5" wide by 3.5" tall when closed. It includes five credit card slots, a center ID flap, three inner pockets, and one outer pocket. All shop purchases help support EFF's work protecting privacy and free expression in the digital world. Like these items? Check out our RFID-Blocking Passport Wallet.